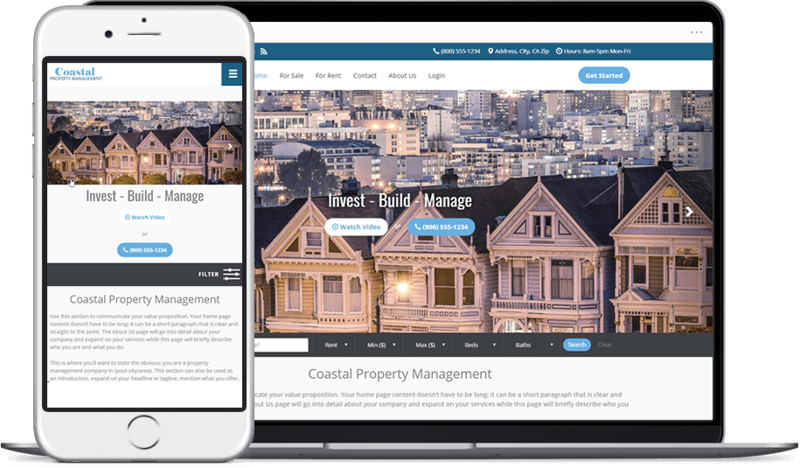 Boost conversion rates, drive more qualified traffic to your properties and increase engagement with easy-to-navigate, mobile-responsive websites. Your website is the first impression for prospects and owners. And nobody can offer the range of options and technologically advanced capabilities like Propertyware. Simply choose a website design from our library of clean, modern templates and we’ll do the rest. Each option is engaging, customizable, mobile-responsive and easy-to-navigate, featuring prominent contact information. Engaging and easy-to-navigate, our mobile responsive sites work on any device and are designed to convert. Take it to the next level and attract the right audience with our websites that work in tandem with your SEO, SEM and social media strategy. Welcome new owners and tenants through your branded website, which increases engagement. Our high-converting, mobile-responsive websites are available in several different themes and colors, giving you options to match your brand.